Helsinki, the capital of the Republic of Finland, is a modern city with over half a million residents and is situated on the Baltic Sea. In 2000 Helsinki was an official European City of Culture while celebrating its 450th anniversary. Helsinki together with the neighbouring cities of Espoo, Kauniainen and Vantaa forms the Helsinki metropolitan area with more than a million inhabitants. Helsinki is unique among Northern European cities. 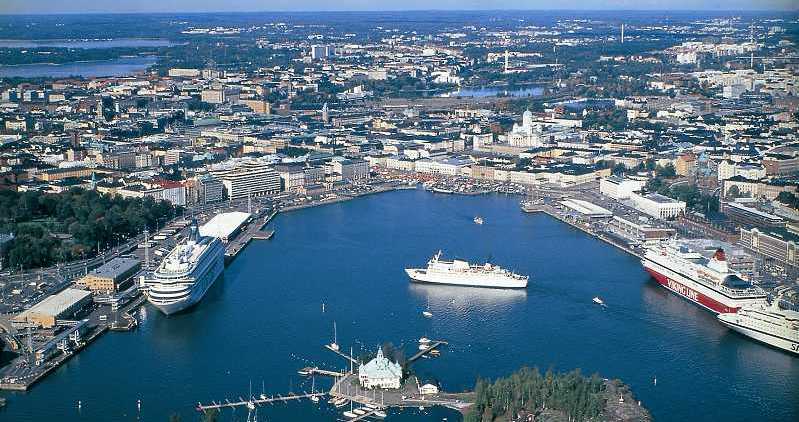 The lifestyle in the second-most northern capital city in the world is full of contrasts and activities in the form of hundreds of events and friendly people. 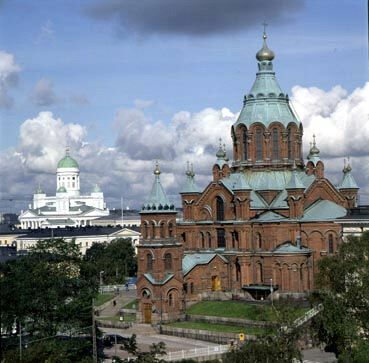 Helsinki�s identity has been formed by cultural influences from both the East and West. Over 450 years of history, several architectural layers and the impact of different periods can be clearly seen in Helsinki. Finnish design has also made the country�s capital city world famous. The beauty of the surrounding nature blends seamlessly together with high-tech achievements, while old traditions mix with the latest contemporary trends. The city centre has many beautiful parks, and the nearby forests offer an ideal setting for peaceful and quiet walks. Helsinki�s rhythm is laid back yet at the same time refreshingly active in terms of both the number and quality of restaurants and nightclubs. 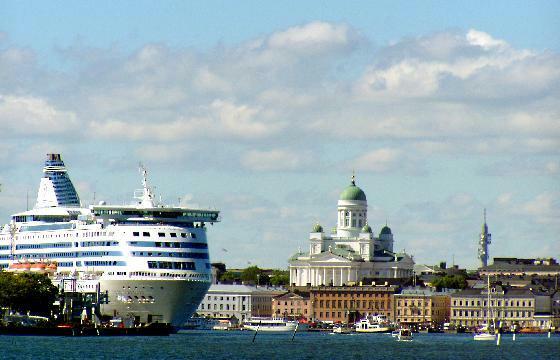 Helsinki�s climate is typical of its northerly situation. Its intermediate climate combines characteristics of both a maritime and a continental climate. The proximity of the Arctic Ocean and the North Atlantic creates cold weather, while the Gulf Stream brings in warmer air. The summer in Helsinki is bright. The days are at their longest in the second half of June, when the sun stays above the horizon for 19 hours. The evenings grow cool towards the end of September, and the days grow noticeably shorter as winter approaches. The crisp air is spiced with the colours of the splendid autumn foliage. The winter begins in either November or December depending on the year. The temperature fluctuates either side of 0�C. The first snowfall makes the city look picture perfect. The average temperature between December and February is around -4�C. The coldest time of the year is usually at the end of January, when the mercury can fall to below -15�C and the ground is covered by snow. The sea usually freezes over in the heart of winter. The lowest temperature ever recorded in Helsinki was -34.3�C in 1987. If the winter is sufficiently cold, the splendid Northern Lights or Aurora Borealis that can often be seen in Northern Finland make an appearance in Helsinki. Spring arrives in Helsinki usually sometime in April. The days grow rapidly longer and warmer, attracting people to the city while the nature blossoms all around. With a single ticket you can hop aboard trams, busses, the metro and even the ferry to Suomenlinna. Single tickets can be purchased from the driver, from ticket machines or even by sending an SMS text message by mobile phone (requires a Finnish service provider). Tourist tickets are available for unlimited use on public transportation for either 1, 3 or 5 days. They can be purchased from ticket machines, from the Tourist Information or from the Helsinki City Transport service point in the Central Railway Station. Some Helsinki City Transport (HKL) buses and trams offer free wireless internet access. Look for the WLAN sticker on the front window or door of participating buses and trams. Helsinki Card holders can travel free of charge on public transportation within the city. The sea is an essential part of Helsinki. It surrounds the city on three sides: the South, the East and the West. There are around 330 islands off the coast of Helsinki, and many are accessible for recreational use. In Helsinki it is possible to enjoy the sea even without your own boat. Archipelago cruises depart from the Market Square throughout the summer, and you can also catch a relaxing ferry to the Helsinki Zoo on Korkeasaari Island and to the idyllic town of Porvoo. Smaller ferries also carry passengers to the recreational islands that lie off the coast of Kaivopuisto Park. Helsinki offers the best and widest range of shopping opportunities in Finland, including top fashion, large department stores, small boutiques, inexpensive flea markets, and everything in between. The shops in the city centre are all located within easy walking distance of each other. The Design District in Punavuori is a must for visitors interested in fashion, design and decorating. Department stores and shopping centres are open weekdays from 9am to 9pm and Saturdays 9am to 6pm. Smaller shops are usually open weekdays from 10am to 6pm and Saturdays 9am to 2pm. From May to August and in the weeks leading up to Christmas shops are also allowed to be open Sundays from 12noon to 9pm.